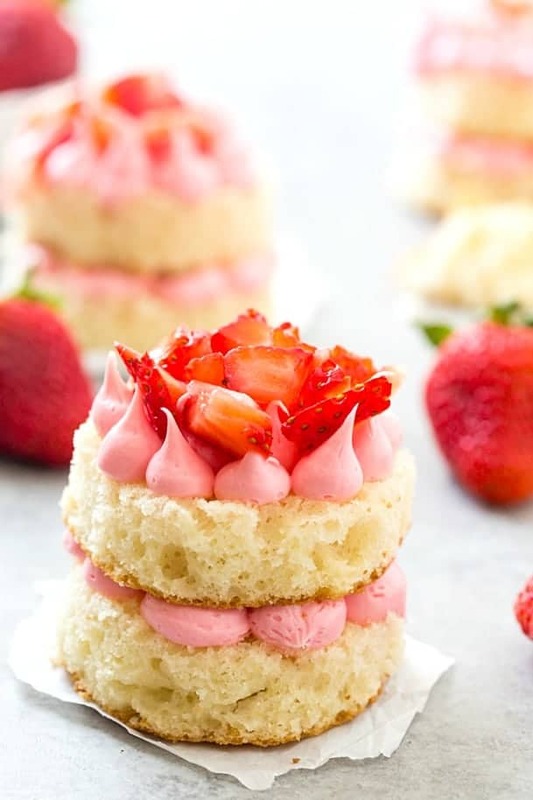 3-Ingredient Strawberry Mini Cupcakes – These mini cupcakes couldn’t get any easier and are to die for! They totally melt in your mouth and perfect for your next party or when you have a sweet tooth! With October being in full-swing, it’s time to remember that October is all about breast cancer awareness. 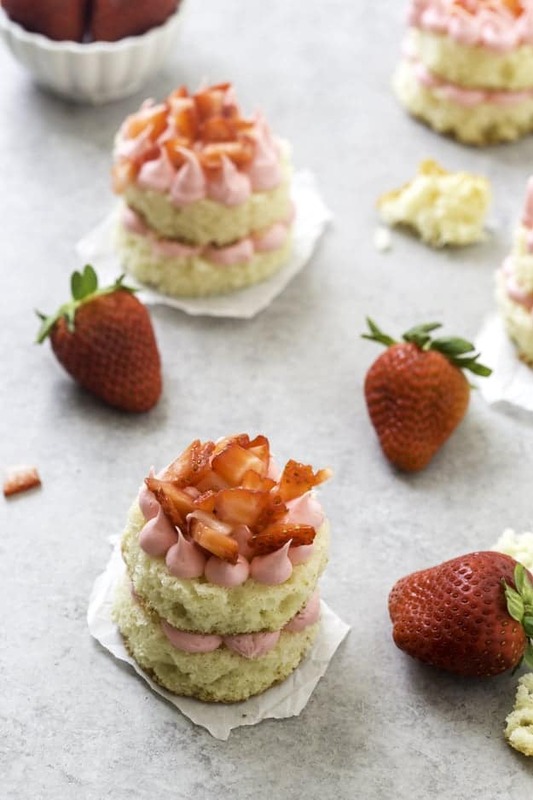 So today I am partnering with KitchenAid to support a great cause and share these incredibly EASY and tasty strawberry mini cupcakes! These cupcakes are perfect for busy families who love to bake but do not have much time to make everything from scratch. Only 3-ingredients are needed for these cupcakes, my friends! With the gloomy weather, we have been having, baking a batch of these mini cupcakes was just what my body needed. I don’t know about you, but when it’s been raining for week straight, my body gets into a funk. I don’t seem to have much energy for anything or any interest. It’s weird. Just the other day the sun started to sun, and I was the happiest gal ever. It’s the simple things in life that make it worthwhile. Oh, and these cupcakes. Right? So you are probably looking at the photos of these cupcakes and wondering why they look a little different. I wanted to make a batch of cupcakes but didn’t have any cupcake liners in the pantry (I thought I did! ), so I decided to make mini cupcakes. I started with a box of white cake mix, poured the cake batter onto a half baking sheet and allowed it to bake. 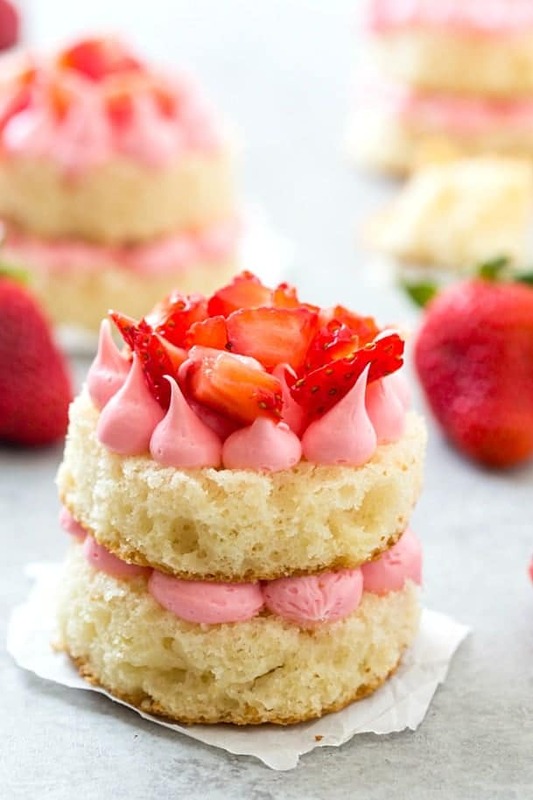 I then used mason jar lids to cut the cake into perfect little circles, cut the cake circles in half, and then added strawberry frosting between the layers. So easy and cute! Did you know if you bake a batch of cupcakes share them on your Twitter and Instagram channels using the hashtag #10000cupcakes & #donate and tagging @KitchenAidUSA, KitchenAid will donate $1 to support the fight against breast cancer. It’s a great family activity to do, and it helps support a great cause! You can also enter to win your very own PINK KitchenAid stand mixer here (ends 10/16/16). 3-Ingredient Strawberry Mini Cupcakes - These mini cupcakes couldn't get any easier and are to die for! They totally melt in your mouth and perfect for your next party or when you have a sweet tooth! Prepare your cake mix according to the directions on the back of the package. Pour the batter into a half sheet baking pan. Bake at 350 degrees for 20-25 minutes or until a toothpick inserted into the cake comes out clean. Place mason jar lids on top of the cake and push down until the cake has been cut. Remove the circle from the pan and set aside on another baking sheet. Repeat until you cannot make any more circles. Place frosting into a pastry bag or decorating and frost dots on the cake using a round tip. Place another layer on top of the frosting and repeat the frosting on top. Repeat until all mini cupcakes have been frosted.